Ted Pella, Inc announces the availability of the new research-ready PELCO® Graphene TEM Support Films. The unique PELCO® graphene TEM support films are supported by lacey carbon film on a 300 mesh copper grid. The single, continuous graphene sheet covers the entire 300 mesh area of the TEM grid. This creates a usable area of around 75% of the TEM grid, leaving plenty of space for specimens or experiments. The PELCO® graphene TEM support films with the large area continuous film can be used directly out of the box. The continuous graphene film represents a more practical graphene support film compared to the graphene enhanced lacey carbon supports. The graphene films are available with either 2 or 3-5 layers graphene. The 2 layer graphene is ideally suited for high resolution TEM imaging, imaging of nanoparticles and imaging of weak contrast materials. Graphene exhibits excellent conductivity and very high transparency for electrons. 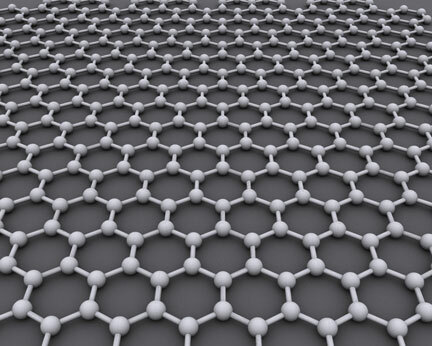 The more robust 3-5 layer graphene is offered for use as an experimental platform for graphene research. It can be used for nano scale experiments or graphene applications research with subsequent high resolution imaging. The graphene used for the PELCO® graphene TEM support films is grown on copper foil using a CVD process. The graphene is then released by dissolving the copper foil and transferred onto the lacey carbon / 300mesh grid by using a proprietary transfer technique.